We’re thrilled to offer a host of teaching positions with our amazing students across Surrey. With many classes available within easy reach of train stations these jobs are popular with those living and working in London as well as in the local area. With jobs available on both a short and long-term basis this is the perfect chance for anyone seeking a new challenge at a popular theatre school with classes in Caterham, Cheam, Reigate, Stoneleigh, Cobham and Horley. Star Steppers Performing Arts Ltd are looking for a dedicated, dynamic, professionally trained and committed Musical Theatre teacher to join its teaching faculty. 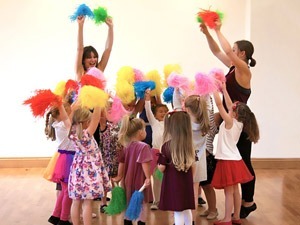 Star Steppers Performing Arts Ltd teach dance, drama and singing classes to children from 3 years to 16 years in locations around Surrey; Cheam, Caterham, Horley, Reigate, Stoneleigh and Cobham. Ideal applicants will be able to teach all three disciplines of Dance, Drama and Singing but we are also open to meeting specialists in drama or dance or singing. Desirable applicants will be committed to the role of teaching and will not be seeking other work in the performing arts industry. Having a driving licence will make your life easier but all our classes are located near train stations that are no more than a 20 minute walk from our Star Stepper venues. 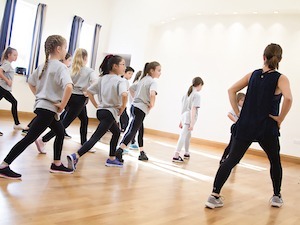 Star Steppers teachers are asked to plan and deliver engaging, creative, fun and inclusive lessons as well as choreograph, direct and prepare children for performance events. Health and Safety at Star Steppers are paramount so teachers are required to have a valid DBS/ Enhanced CRB certificate, however, if you do not have one we can help you to gain a DBS licence. All applicants will be expected to teach a class and prepare for an interview. Want to join the Star Steppers gang?